I love to decorate with metallics and my Christmas tablescape is full of mixed metals in silver, gold and copper. The sugared fruit and white taper candles really pop against the metals. 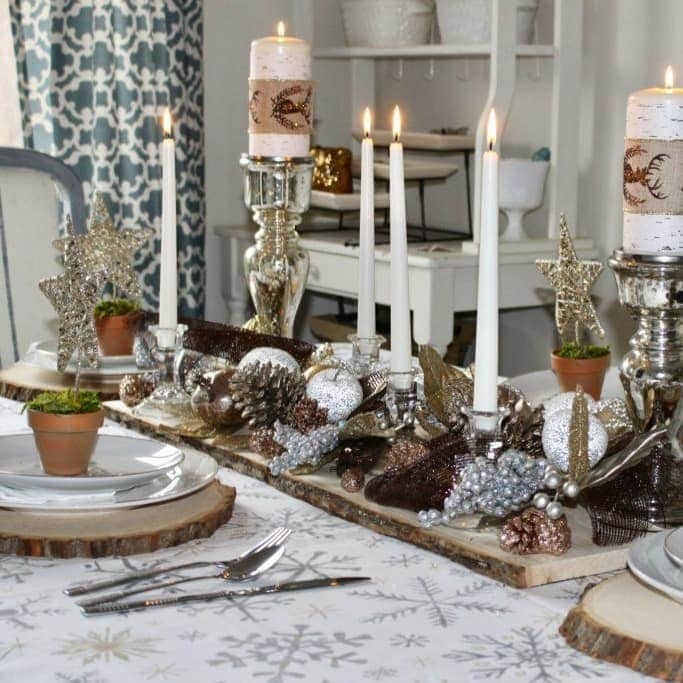 To add a rustic touch and offset all the glam, I added wood slice chargers and table runners. This post was submitted by Our Crafty Mom and is shared with their permission. Thank you so very much for featuring my Christmas Tablescape! I am honored! You are so very welcome, Michelle! 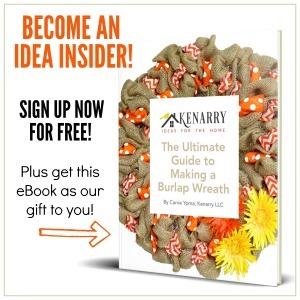 We’re thrilled you shared it with us and hope you’ll share more of your great ideas with us again in the new year!